You are here: Home / Photo of the Day / Victors United! Victors United! 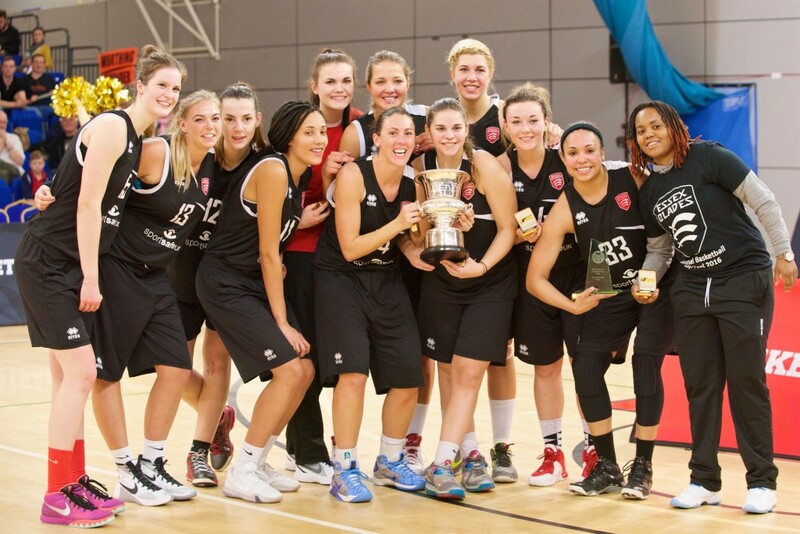 The Essex Blades Women’s Basketball Team Captain Emma Camp (centre), and her victorious team. They are celebrating a final seconds win against the Reading Rockets at the NBL National Cup Finals at the English Institute of Sport, Sheffield, South Yorkshire, UK, on January 24, 2016. It was a very tense, hard fought match, with the score going right down to the wire, with the final winning points being scores in the final 3 seconds of the match! The team was understandably very happy with the result, as can be seen from this photo. The match was one of several in the NBL National finals.